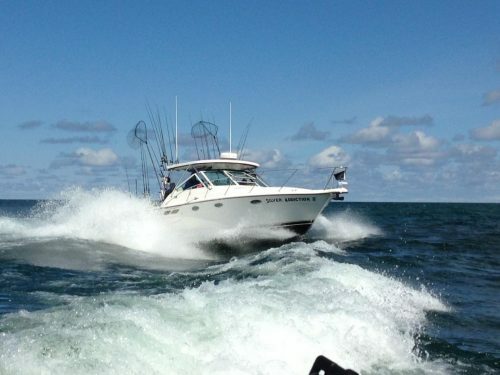 Captain Mark Williams has been fishing the Great Lakes since the age of six, and is a second generation charter captain. The boat, Silver Addiction II is a Tiara 3100 Open LE, one of the newest and most meticulously maintained vessels in the Lake Michigan Charter Fleet. We have all the top of the line gear and electronics to make your day on the water memorable and successful.